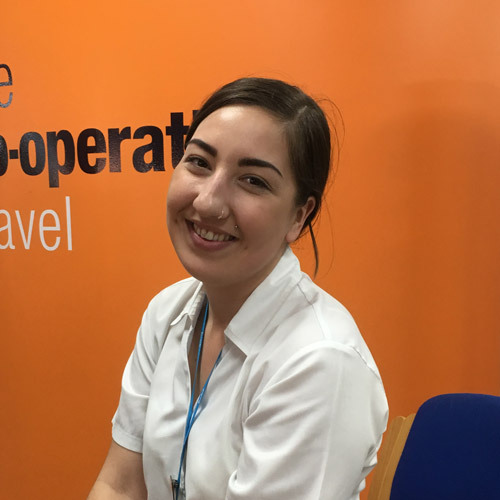 I began my travel career with Thomson (now TUI) back in 2003, before becoming Branch Manager with the East of England Co-operative Travel in Burnham. 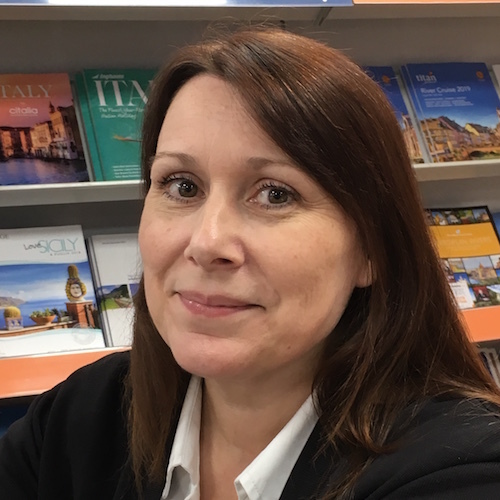 I started at Chelmsford Star Co-op in March 2018 as the Co-operative Travel: Chelmsford branch manager. I am a very passionate traveller and have visited numerous places within Europe & across the world through work and my own personal holidays. My favourite destination is Mexico and I have been there twice. It is a place that offers something for everyone! I have been lucky enough to visit many long-haul destinations including Australia, Mauritius, Dominican Republic, Jamaica, Dubai, Barbados and Sri Lanka. I have also been to Corfu, Egypt, Morocco and recently visited Disneyland Paris for my 30th birthday. I have been working in travel since 2000, starting my travel career at Going Places. 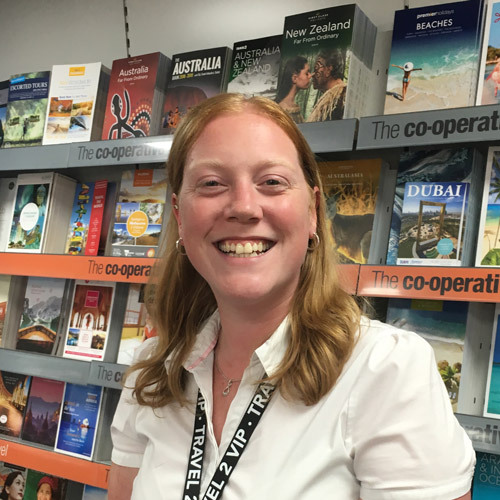 I truly found my passion lay within travel during a short break from the industry, so came back to it by joining the team at the Co-operative Travel in Chelmsford. As a Walt Disney and theme park fanatic, I would say that I specialise in Florida – having visited Orlando & Walt Disney World 15 times. However I’ve enjoyed many other destinations too, including Hong Kong, Dubai, Mauritius, Croatia, Dominican Republic, Jamaica and Madeira. 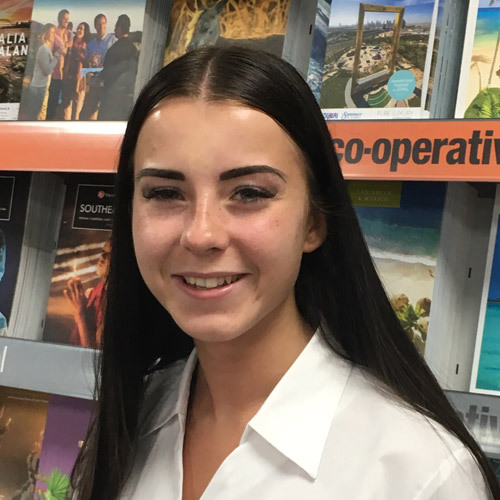 I have been working at the Co-operative Travel: Chelmsford for over 2 years now having completed my Level 3 Btec in Travel & Tourism. I have a particular interest in Italy, stemmed from my love and passion for the culture and food, having travelled to many different areas such as Rome, Venice, Verona, Lake Garda, Naples & Pompeii. I have a lot of knowledge and expertise within this area especially. I also enjoy tailor making itineraries for clients as well as arranging escorted touring. Having travelled to the West Coast of America including Las Vegas, San Francisco and LA this is another area I am really interested and knowledgeable on. Other destinations I have visited include Mexico, Barbados, Grenada as well as many city break destinations within Europe. 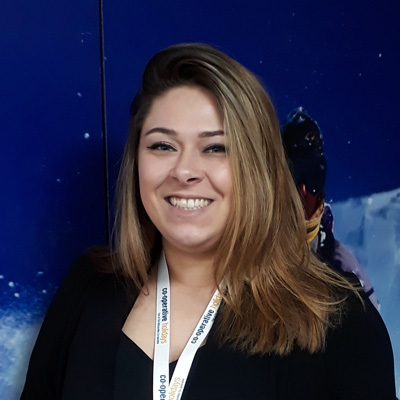 I started my travel role with the Society as a Trainee Consultant and have worked my way up through the years to a management position. In 2010, I took a 4 month trip around South East Asia which has helped me specialise in arranging trips to this area. I am very passionate about travel and have been fortunate enough to visit many destinations both through work and personally. Other than loving Asia, I also enjoy travelling to the Caribbean and have visited many of the different islands. I love meeting new people, and finding clients their perfect holiday is definitely one of the best parts of the job for me. I’ve had a keen passion for travel since being at school studying Leisure and tourism, then going on to Braintree college to study Travel and Tourism. 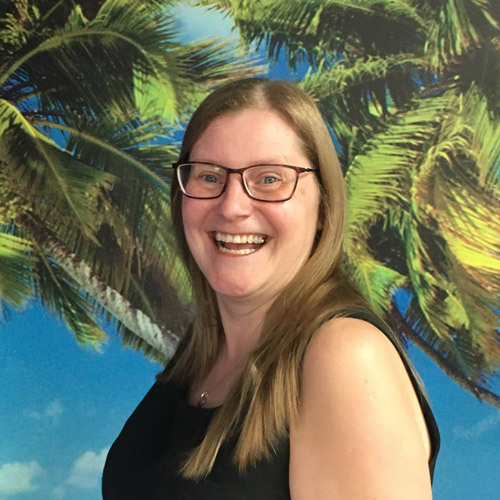 I have now been working for Chelmsford star for 8 years, recently being promoted to Senior travel consultant after completing a team leader NVQ. Over the years at Chelmsford Star I have had the amazing opportunity of visiting various different destinations including; Sri Lanka, Dubai, South Africa, USA, Caribbean, Cyprus, Turkey, and Norway. My specialist destination would have to be Malta. I’ve visited twice in the last five years and love it! I have travelled to a variety of places including Rhodes, Corfu, Menorca, Paris, Belgium, Florida, Barbados and the Bahamas. I’ve worked for the Chelmsford Star Co-op since 1987 and moved to the Co-operative Travel department in 1990. I have been working in the Travel industry for the past 10 years, and have been lucky enough to travel to many different places – though I have barely made a dent in my own bucket list! I am very passionate about Travel, and so inspired by different cultures, history and awe-inspiring scenery. I definitely have a case of wanderlust! So far, I have travelled to the USA for three months which was incredible. I have also had specialist training on many cities throughout the country I’m so fascinated by, and I love to recommend many amazing places to visit and experiences to make your trip even more memorable. I have also travelled to the Caribbean, Greece, Balearic Islands and Egypt an unbelievable 32 times. Asia is next on my list! I love sitting down with people, getting to know them a little, and then putting together the perfect package for them and their needs; something unique to them that will make them leave me even more excited about going. Nothing makes me happier than hearing all about their time away, when they return. 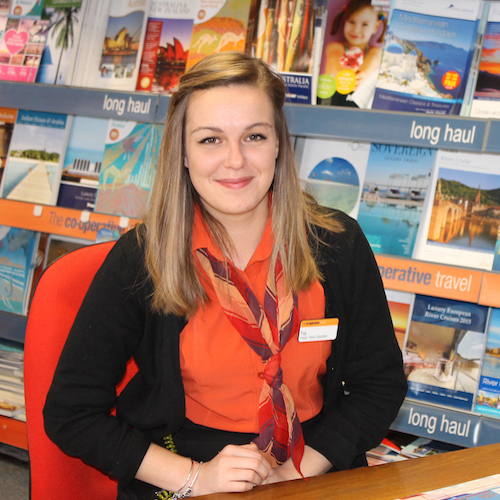 I have worked in travel for 12 years, 11 of those here at the Co-operative Travel: Braintree. My favourite holiday destinations are Sardinia and Sicily for their fantastic cuisine, beaches & scenery. I have toured the whole island of Sicily and can recommend some amazing hotels there. I love putting together tailor made itineraries for the USA, Far East & Australasia, ensuring that all my clients’ specific needs and requirements are met. 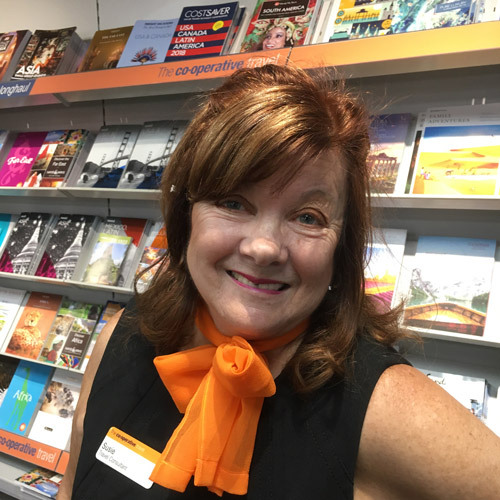 Cruise is another area I enjoy selling and I have been lucky enough to view a selection of ships to gain first-hand knowledge to guide my customers towards their perfect Cruise holiday. 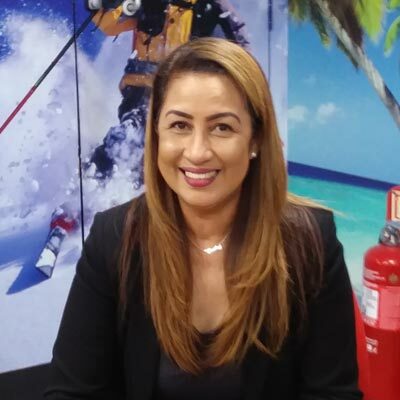 I have been in travel for over 36 years, and have built up a huge amount of knowledge and experience working in various positions at different agencies. I was nominated ‘Colleague of the Year 2017’ for the whole of Chelmsford Star Co-op, which was a personal achievement. My passion is the Far East and Africa having been brought up in Singapore and I have been lucky to go on several safaris to South Africa and Kenya. I absolutely love meeting people and pride myself on giving good customer service and finding them, in some cases, the holiday of a lifetime. The majority of my clients have moved with me wherever I have worked in the travel industry. 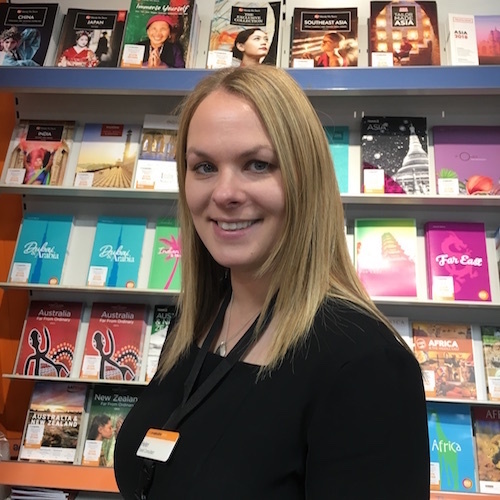 Since successfully gaining my degree in International Travel Management at the University of Brighton in 2017, I dove into the world of travel by joining the Operational Team for Jet2.com & Jet2holidays at Stansted Airport. My time at Jet2 provided me with inside knowledge on all of the terms and conditions you come across when going on holiday! The baggage weight & size rules, Is it worth paying for seats? Seating restrictions? Which bag does my iPad go in etc? Along with the handy knowledge of worldwide airports and which airlines fly to where from Stansted. 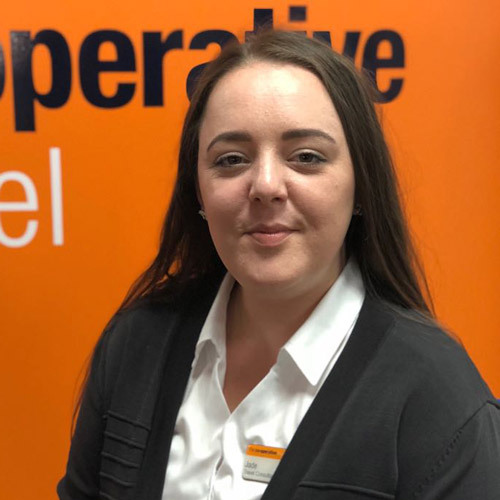 I joined Chelmsford Star Co-op in July 2018 and have continued to progress and develop my knowledge on all areas of the world. I can’t say that I specialise in any one location, but I have been fortunate enough to visit Norway on a cruise onboard the Saga Sapphire. Along with travelling on my own holidays to Tenerife, Rhodes and Ibiza with many more planned for the coming years! I started at Chelmsford Star Coop Star in 2018 as a Coop Foreign Exchange Advisor. Previously, I worked as Foreign Exchange Advisor with Thomson (now TUI) since 2009. I love dealing with customers and have always has a background in working with money. I love travelling but being a mother of three I’ve had limited time to do it. But now that my children are grown up, I would like to travel more. My last trip was in December 2018 where I visited my home country, which is the Philippines. I enjoyed time with my family and old friends from school, and ate a lot of our Filipino cuisine which I miss all the time. I have been in this country for 33 years now and only been home 8 times, so I treasure every moment I spent there with my family. I miss our culture and everything about my country. I am thinking of travelling more, hopefully to the USA to visit my other siblings. I’ve already travelled to North Hollywood, San Francisco, Las Vegas, San Diego, Sacramento and Florida, where most of my family lives.